Australian Radio Network (ARN) has unveiled an extensive marketing campaign in Brisbane to launch 97.3FM’s new breakfast show. 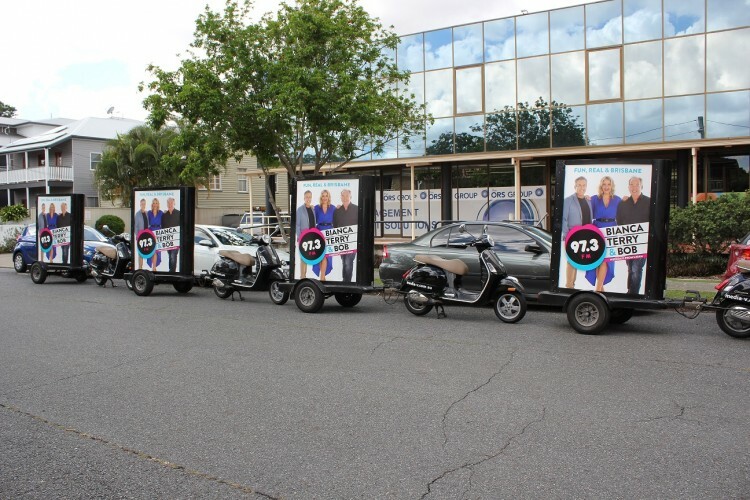 The campaign launched today across Adshel street furniture, Media V-branded scooters and a targeted digital campaign to promote Bianca, Terry & Bob – the station’s new-look brekkie show which sees Bianca Dye replacing the recently-sacked Robyn Bailey, joining co-hosts Terry Hansen and Bob Gallagher. ARN’s national content director, Duncan Campbell, said the campaign is the network’s biggest ever in Brisbane, and reflects the strength of 97.3FM’s brand and breakfast show in the market. “We’re extremely excited to have Bianca Dye on board for our 2017 breakfast show,” he said.